> The 110 story Willis (formerly Sears) Tower is the second tallest building in the United States and, upon its completion in 1973, was the tallest building in the world for nearly 25 years. > More than 1 million people visit the Skydeck and its Ledge attraction each year. 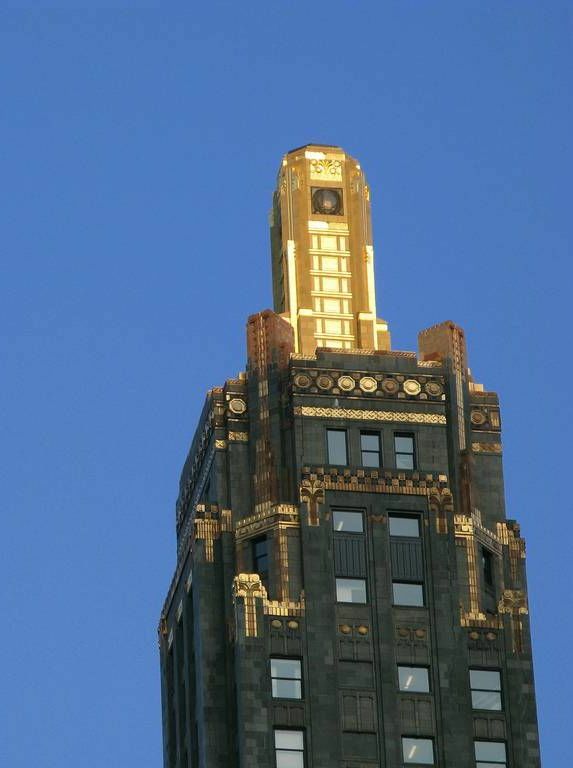 When Sears, Roebuck & Co. was the largest retailer in the world they had stars in their eyes and the sky on their mind. The goal was to consolidate hundreds of thousands of employees under one roof, which meant they needed 3,000,000 square feet of office space. The Sears Tower was designed by architect Bruce Graham and engineer Faziur Rahman Khan, and at the time of its completion was the tallest building in the world. At 1,450 feet tall with 110-stories, the Sears Tower held its title for nearly 25 years. You can see the "bundled tube" design that allows the structure to withstand strong wind. Image source: Naotake Murayama, CC BY 2.0, No changes made. It was an engineering and design feat of the time to build a structure that tall. The building was constructed as nine separate tubes. This "bundled tube" construction gives the building the strength and flexibility to withstand high winds. It was such a feat that the Structural Engineers Association of Illinois Commissioned a sculpture of Khan for the lobby to honor his contribution. The building cost $189 million to build. But Sears executives, buoyed by optimistic projections on future profits, allowed the design to expand and grow. Yet it was not a design that was thought to be gilded. In fact, for its size, the tower is considered economical. The innovative tube design provided lots of needed space. While it rose higher than the Empire State Building, it actually cost much less per unit to build. Standing at the corner of the Willis Tower, it's almost impossible to see the top from this close. Image source: Erica Schoonmaker, CC BY-SA 2.0, No changes made. Alas, the projections were a bit high and the building remained half-empty and Sears began moving its offices out in 1992. They sold the tower in 1994, and it changed owners a number of times. Even after the naming rights expired in 2003 it continued to be known as the Sears Tower. 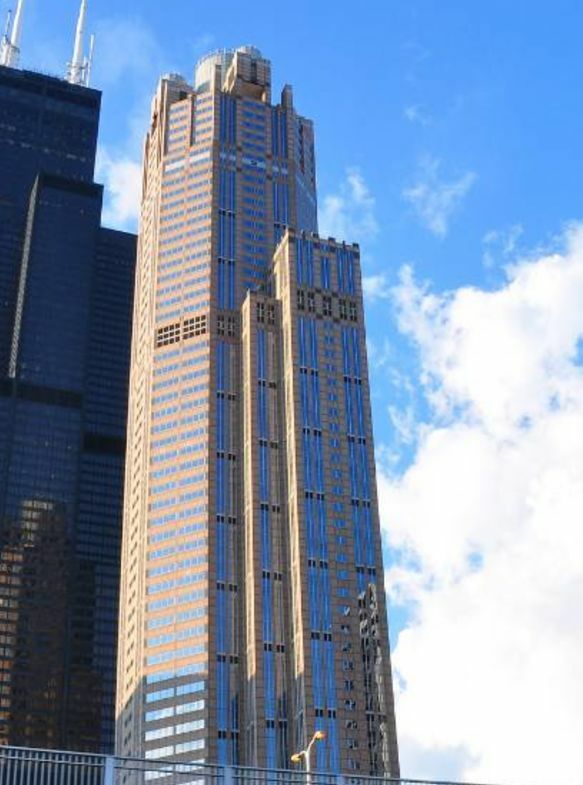 London based Willis-Towers Watson acquired the naming rights in 2009, and the name was officially changed to Willis Tower. The Skydeck, which receives more than 1 million visitors each year, opened in 1974. It features all-glass balconies overlook Wacker Drive and the Chicago River from 103 floors above the ground. If you are standing atop the glass-bottomed Tower skyboxes you can see across Lake Michigan to Indiana. Cover image source: Ed Bierman, CC BY 2.0, No changes made.